After looking at this week's music release list (and previewing the upcoming releases through the end of 2007), I don't feel bad about releasing my favorite album list of the year later today. 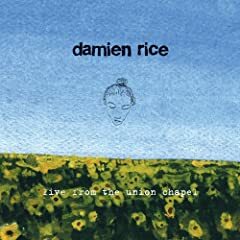 Of the discs out tomorrow, I can only heartily recommend the live Damien Rice album, Live from the Union Chapel. The Killers release a holiday single this week, Don't Shoot Me, Santa, and Fruit Tree, the four-disc Nick Drake box set is also available tomorrow. Are you picking up any new releases this week? Have I left any noteworthy albums off the list?